Not what I like to see on the way to work. 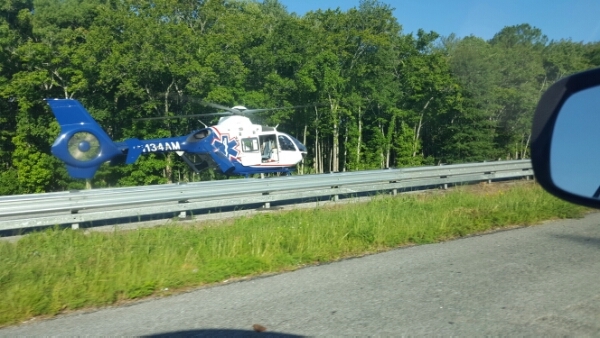 All lanes on I95 blocked for the life flight helicopter. Praying everyone is ok.